A classic selection for the Stilton lover amongst your family or friends. A classic combination that will go down a treat at any time of the year. 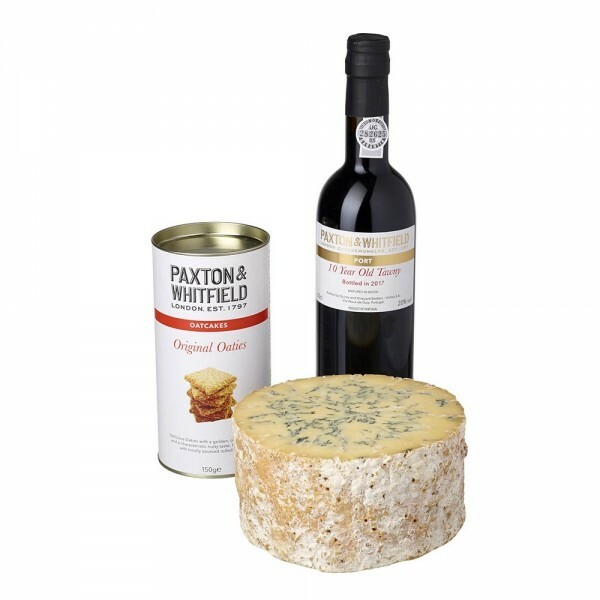 Enjoy our grade 'A' stilton with our crunchy, buttery Original Oaties and a glass of our Tawny Port. Half Baby Stilton PDO 1kg, Original Oaties 150g, 10 Year Old Tawny Port 50cl.